SOUTHERN UTAH — UPDATED 11:25 a.m. — Power outages were reported in parts of Iron, Washington, and Garfield counties Saturday night. Several of these areas are still experiencing outages today that could last for most the day, if not longer. Currently Iron county’s outages are affecting the most people, however, significant outages – all weather related – are being reported in Beaver and Garfield counties as well. As of 11 a.m. there were no power outages still being reported in Washington County. 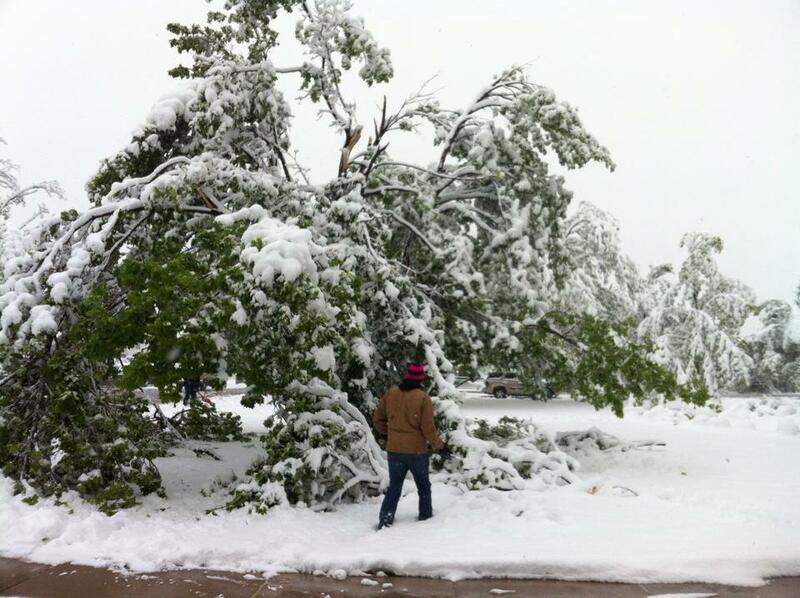 All of the outages across southwestern Utah were caused by a mixed bag of weather related problems associated with a storm that began Saturday night with excessive winds, rain, lightning and even snow in the higher elevations, Rocky Mountain Power Spokesperson Margaret Oler said. Most of these outages began around midnight and power continued to go out across southwest Utah into the morning until around 6 p.m., Oler said. Crews have been working on these outages throughout the night but most of these areas aren’t expected to receive power again until this evening or later, Oler said. There are multiple locations of damage that need to be repaired. “These are all a result of wind and snow damage, tearing down branches into power lines which then tears the power lines down,” Oler said. She also sited lightning as a cause for some of the outages. Several lines have been reported down. Arching – an arch of electricity connecting from a downed line to the ground or sometimes to another line – has been reported and even caused a few lines to catch fire, Oler said. If you are in the area of an arching or a downed line, leave the area immediately, and report it to Rocky Mountain Power’s hotline: 888-221-7070. According to Rocky Mountain Power’s website, as of 11:06 a.m. Sunday, power remains out across large portions of Cedar City. Approximately 6,177 customers are without power. Rocky Mountain Power does not currently have an estimated time of complete power restoration although crews have been dispatched to work on the outage. Approximately 605 customers are without power in Panguitch. The cause of the outage is unknown at this time. A work crew is on site and repairs are underway. Rocky Mountain Power estimates that Panguitch power should be restored by Sunday afternoon of complete power restoration. Approximately 639 customers are without power in Beaver and Manderfield. The cause of the outage is a transmission interruption due to snow. This is expected to be fixed by around 7 p.m. Sunday. A work crew is on site and repairs are underway.